Get over 180 channels and exclusive sports content like NFL Sunday Ticket, and get great returns and enhance customer satisfaction. Get the latest commercial-free music from Sonic Tap Music Channels without any commercials. Upgrade your business entertainment experience with packages as low as just $29.99/month for 12 months*. Let the Games Begin, Every Day of the Week. 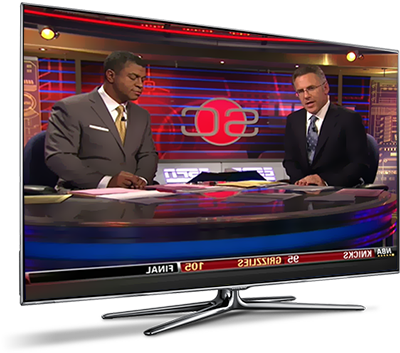 DirecTV’s attractive sports packages grabs attention of fans from every team and sport. Fans will be flooding in to see live sports action every night of the week. Add ESPN COLLEGE EXTRA, you’ll get fans rushing in from schools to enjoy the best moments and over 500 live college sports events. Get audience that likes international programs with DirecTV packages focusing foreign languages. Select from a wide range of programmes in Spanish and many other available options. Make your business a unique place with for sports fans with news and latest sports action from around the globe. Let go off that old jukebox with DirecTV. 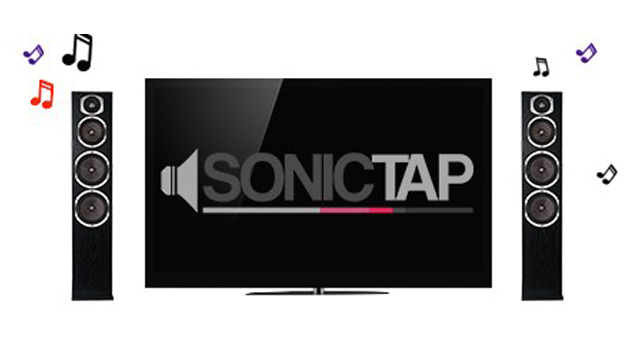 Play music that your customers like with SonicTap Music Channels. Get 80 commercial fee music channels, without any licensing fees. Order now and enhance your customer experience a wide range of latest music numbers from your favorite vocalists. Join the DIRECTV MVP Marketing Program. Get marketing support by DirecTV along with other tools that include posters, banners and other stuff to help you with ideas and promotional events. Stay updated about the biggest games and events DirecTV Premium Sports Schedule so you always have the audience in your restaurant. 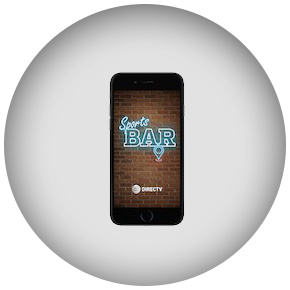 Let your customers find your business when they want to hangout and catch the big game with their friends with the DirecTV Sports Bar Finder app. Get the value package for news and entertainment channels like Bloomberg TV, CNN, HGTV NS and more. Plus taxes. Auto Bill Pay req'd. For 12 mos. w/ 24-mo. agmt. $105.99 in months 13-24. The widely used package offered giving all the entertainment you want, with more sports from 4 ESPN Networks, regional sports networks and much more. * ALL DIRECTV OFFERS REQUIRE 24-MO. TV AGREEMENT. EARLY CANCELLATION FEE OF $20/MO. FOR EACH MONTH REMAINING ON AGMT, AND ADD’L FEES APPLY. New approved commercial customers only. Credit card req’d (except MA & PA). Pricing based on Estimated Viewing Occupancy (EVO) for select packages. Regional Sports fee may apply in certain markets. New approved commercial customers only. Credit card required (except MA & PA). Prorated ECF fee (up to $960) applies. Additional receiver fees apply. Pricing based on Estimated Viewing Occupancy (EVO) for select packages. Regional sports fee may apply. BASE PACKAGE OFFERS: Ends 5/21/17. After (3 or 12 mos.) then-prevailing rate for base package applies (currently: $61.99/mo. for BUSINESS SELECTTM PACK; $102.99/mo. for COMMERCIAL ENTERTAINMENT PACK, $151.49/mo for COMMERCIAL XTRATM PACK, up to $237.99/mo. (based on Estimated Viewing Occupancy (EVO)) for COMMERCIAL CHOICE®, and up to $553.99 /mo. (based on Estimated Viewing Occupancy (EVO)) for COMMERCIAL CHOICE® PLUS) unless canceled or changed by customer prior to end of the promotional period. ABP OFFER: New customers who subscribe to BUSINESS SELECTTM PACK or above with 24-mo. agmt and enroll in Auto Bill Pay will receive $5/mo. bill credit for 24 mos. starting in the 2nd mo. After (24 mos.) the credit will end and services will automatically continue at the then-prevailing rate. Add’l fees & Terms: In certain markets, a Regional Sports fee of up $12.99/mo. will be assessed with COMMERCIAL XTRATM PACK and COMMERCIAL CHOICE® PLUS Package. Receiver fees of $15/mo. apply for each receiver for BUSINESS SELECTTM PACK, COMMERCIAL ENTERTAINMENT PACK, and COMMERCIAL XTRA PACK .Receiver fees of a flat fee of $30/mo will apply for COMMERCIAL CHOICE® and a flat fee of $90/mo for COMMERCIAL CHOICE® PLUS. $19.95 Handling and Delivery fee may apply. Taxes not included. Programming, pricing, terms and conditions subject to change at any time. Installation: Standard commercial installation included for BUSINESS SELECTTM PACK and above customers. $49 standard installation applies for COMMERCIAL BASICTM customers. Complex/custom installation extra. Applicable use tax adjustment may apply on retail value of installation. Visit directv.com/legal or call for details. To access HD programming, HD equipment required. Number of HD channels based on package selection. Eligibility for local channels based on service address. Not all networks available in all markets. All DIRECTV Receivers must be continuously connected to the same land-based phone line or the Internet. ©2017 AT&T Intellectual Property. All Rights Reserved. AT&T, Globe logo, DIRECTV, and all other DIRECTV marks contained herein are trademarks of AT&T Intellectual Property and/or AT&T affiliated companies. All other marks are the property of their respective owners. 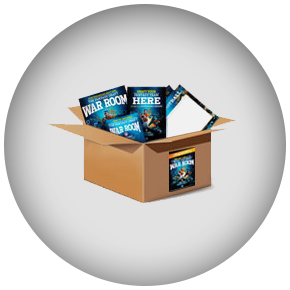 BASE PACKAGE OFFERS: Package offers end 5/19/18. After 12 mos., then-prevailing rate for base package applies (currently: $63.99/mo. for BUSINESS SELECT PACK; $105.99/mo. for COMMERCIAL ENTERTAINMENT PACK; $156.49/mo. for COMMERCIAL XTRA PACK, up to $247.99/mo. (based on EVO, Estimated Viewing Occupancy) for COMMERCIAL CHOICE, and up to $593.99/mo. 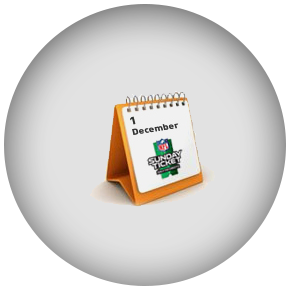 (based on EVO) for COMMERCIAL CHOICE PLUS) unless canceled or changed by customer prior to end of the promotional period. BUSINESS SELECT PACK 24/MO. OFFER: To receive the promotional price of $39.99/mo., a 24-mo. agreement is required. After 24 mos., then-prevailing rate for base pkg applies unless canceled or changed by customer prior to end of the promotional period. Not stackable with any promotional overlay offers. COMMERCIAL XTRA PACK 24-MO. OFFER: To receive the promotional price of $89.99/mo., a 24-mo. agreement is required. After 24 mos., then-prevailing rate for base pkg applies unless canceled or changed by customer prior to end of the promotional period. Not stackable with any promotional overlay offers. ABP OFFER: New customers who subscribe to BUSINESS SELECT PACK or above with 24-mo. agmt. and enroll in Auto Bill Pay will receive $10/mo. bill credit for 24 mos. starting in the 2nd mo. After 24 mos., the credit will end and services will automatically continue at the then-prevailing rate. HARDWARE OFFER: Programming agreement, as defined by customer’s commercial programming rate card, required. Offer available to new commercial customers in commercial structures no more than three stories high. No single-family residences allowed. Up to four HD Receivers included per commercial location. Make and model of system at DIRECTV’s sole discretion. Offer void where prohibited or restricted. DIRECTV SVC TERMS: Subject to terms of DIRECTV Commercial Customer Agreement. Add’l Fees & Terms: Regional Sports Network fee of up to $24.99/mo. applies in certain markets for COMMERCIAL CHOICE PLUS and COMMERCIAL XTRA PACK subscribers residing in a RSN ZIP code and one of the Collegiate-in-Market regions where BTN, Longhorn Network or SEC Network is included. Regional Sports Network fees are updated biannually based on the presence of Regional Sports Networks and/or Collegiate-in-Market programming in applicable ZIP codes. Receiver fees of $15/mo. apply for each receiver for BUSINESS SELECT PACK, COMMERCIAL ENTERTAINMENT PACK and COMMERCIAL XTRA PACK. Flat receiver fees of $30/mo. will apply for COMMERCIAL CHOICE and a flat fee of $90/mo. for COMMERCIAL CHOICE PLUS.